New Delhi: The seven-nation bloc BIMSTEC today called for specific steps and greater political commitment to conclude negotiations expeditiously for a free trade agreement. These include Bangladesh, India, Myanmar, Sri Lanka, Thailand, Bhutan and Nepal. 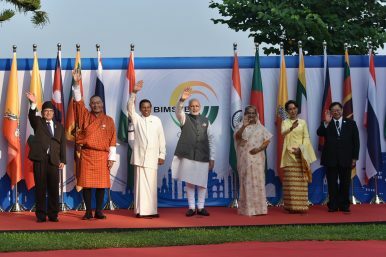 BIMSTEC Secretary General Shahidul Islam "called for specific steps to rejuvenate the regional grouping through greater political commitment, expeditious negotiations on free trade agreement, adequate funding, BIMSTEC special visas and closer people-to-people contacts," Ficci said in a statement. Islam said that the agreement would help spur growth and development in the region. He added that the BIMSTEC secretariat needed to be adequately financed as its present budget is a mere USD 1 million. Further a Ficci report on BIMSTEC suggests funding of USD 2 billion from India and USD 1 billion from other member states. The BIMSTEC region is home to over 1.5 billion people which constitute around 22 per cent of the global population.